Having said all that, I've a number of other writing projects that have been on the back-burners while Fiddler's Edge was in flight (more on those in a moment). I've been thinking this last month or so that it might be time to take The Edge off the stove and put other efforts on high boil. Frankly, I was a bit torn about it. So I decided to let Krazy Kinux make the call for me. As most of you know, his Krazyness is the patron saint of Eve bloggers. 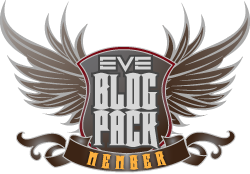 One of his means of promoting the Eve blogosphere is The Eve Blog Pack, where he provides linkage to the blogs he considers the best of the best. He recently posted that he was revising the list and that Fiddler's Edge was one of the blogs under consideration for inclusion in the pack. I decided that would be the test. 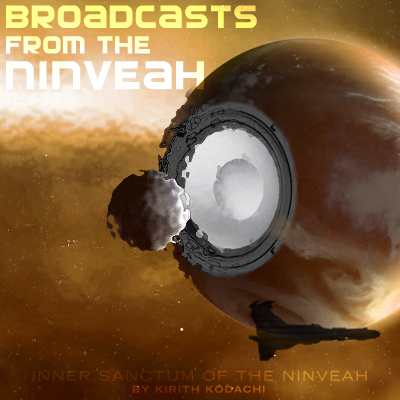 If Fiddler's Edge had improved enough to make Krazy's blog pack I would continue the work. If it fell short, it would be time to move on. Krazy announced his new blog pack yesterday and, as most of you know, Fiddler's Edge remains unworthy. 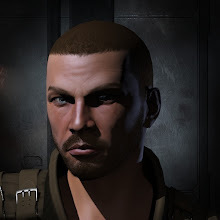 The arbiter has spoken. This cannot happen! We must stop CK from adding Mord Fiddle to the blog pack! There are two reasons. One, his blog is too good, too insightful, too well written and it makes other blogs on the pack, namely mine, look pedestrian in comparison. Unacceptable! Two, Mord Fiddle has joined the staff at Eve Tribune and I want him to write awesome articles for the Trib and not get distracted by writing awesome articles on his blog. His work on the Trib increases the site's cachet and as a result, I get some blowback fame from being on the Tribune as well. So let's stop CK's attempt to revive Fiddler's Edge. Do it for me! Sooo.. you want us to help you stop the help him save the let me move on Fiddler's Edge ? Although I love Mord being back with his great analysis, you're still my favorite gankistador!